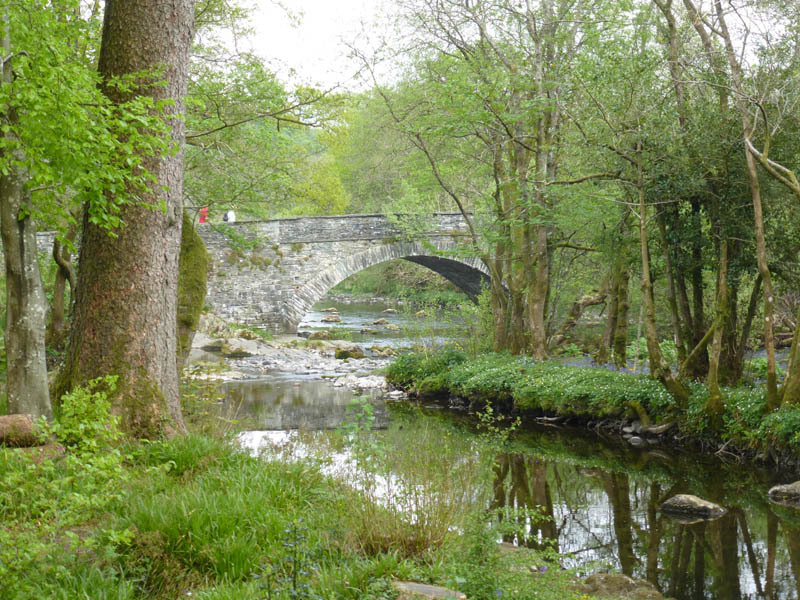 Learning to draw and observe properly are essential skills for the landscape artist in watercolour, and although most artists can see objects clearly, so many have appalling problems when trying to observe and record a scene. This is one of the fundamental skills I try to teach students on my painting courses, but it does take quite some application and determination to continue practising the skills once the course has ended. This is a photograph of Skelwith Bridge, taken during my recent painting course in the Lake District. Whilst the lighting is a little flat, it is still pretty clear that the distant features viewed under the arch are a little darker in tone than the left-hand side of the bridge, though they are lighter than the underside of the arch to the right. Comparison of tones in this way is a vital method of working out these tonal relationships. Always think not just about the shapes before you, but the main tonal relationships as well. This will bring forward your art in leaps and bounds, and I would urge you to practice this with deliberate emphasis for at least the next month or so. 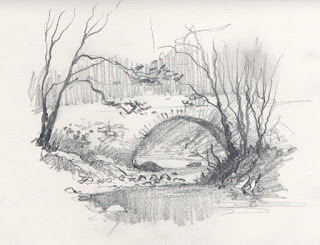 My rough sketch of the bridge on the right was done in about 12 to 15 minutes and this is the sort of drawing that will help you with your tones. Breaking away from a pure linear response to a subject is absolutely essential in your development as an artist. I shall be demonstrating at the Patchings Art Festival on Thursday 9th, Friday 10th and Saturday 11th June, in the St Cuthberts Mill Marquee, painting on the fabulous Saunders Waterford and Bockingford papers. Do come and chat. It’s always a great show with superb demonstrators, marvellous crafts, paintings and art materials. I will be painting with Daniel Smith watercolours and will have available the dot-card palette of the colours I mostly use in their range, so come along and pick one up. This entry was posted in aerial recession in landscape paintings, Daniel Smith Watercolours, David Bellamy, landscape painting demonstration, Patchings Art Festival demonstrating watercolour, sketching, sketching outdoors, ST Cuthberts Mill and tagged sketching, St Cuthberts Mill, Watercolour techniques by David Bellamy. Bookmark the permalink. I already have two tickets for the Thursday Demonstration and am really looking forward to seeing you there. David, I’ve always thought your sketches are wonderful. 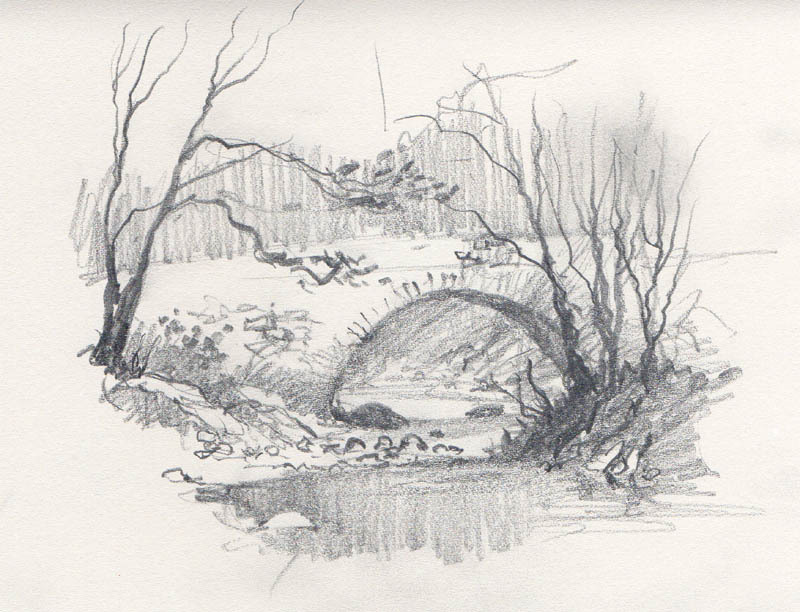 Have you ever thought of writing a book specifically about sketching? Always a pleasure when your blogs appear. We learn so much from you each time ! Looking forward to the next one … thank you David . I’ll be at Patchings on Thursday and my friend and I have tickets for your demo. at 10.45am. Saw you there last year I’m so looking forward to seeing your inspiring techniques. Thank you for your insight on landscape painting. Are you planning a trip to the US anytime soon? I will put an image of the card on my page when I have a moment, David.